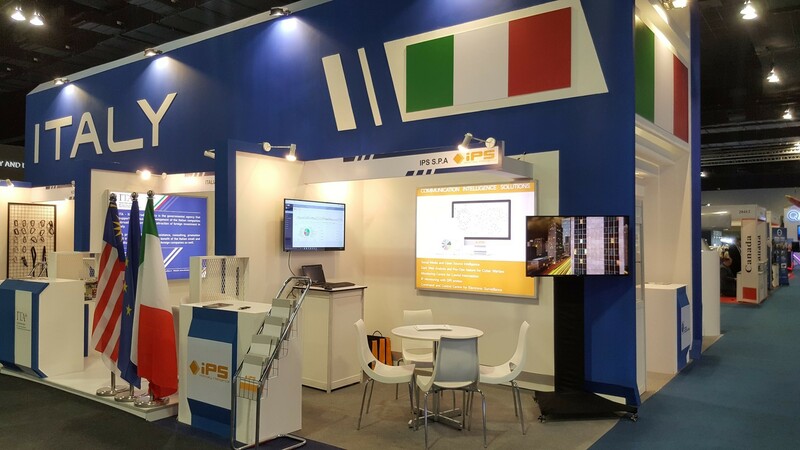 April 18th 2018 – IPS is one of the leading companies at the Italian pavilion, organized by ITA (Italian Trade Agency) during the DSA (Defense Service Asia) exhibition. For thirty years, DSA is one of the main event in the world on Defense and Security. During the event, IPS has showed some new features of MEDUSA®, the integrated solution for Social Media and Open Source Intelligence, designed to support LEAs’ and government authorities’ investigative activities. MEDUSA® is the complete OSINT platform to collect and analyze data coming from heterogeneous sources like Social Media, Websites, Forums, Deep and Dark Web to speed up the investigations, also for preventive purposes. MEDUSA® operates with Big Data and it provides tools for Public Sentiment and Target Profiling. The platform is useful to counteract threats that countries face like terrorism, border control, illegal immigration, but also to solve the everyday investigative cases on illegal activities. During the exhibition days, IPS has presented the new features of the Dark Web Analysis module to the Heads of Intelligence Departments of more than 15 countries. These new capabilities allow to monitor the Crypto, Darknet and Darweb markets, collecting contents – metadata included – and providing dynamic analysis. The goal of the Social Media Intelligence is to unveil relations, highlight trends and identify targets, making easier, faster and effective the everyday analyst operations.